The Russian painter Wassily Kandinsky (1866-1944), who later lived in Germany and France, is one of the pioneers of 20th-century art. This book covers the work of the painter who nowadays is regarded as the founder of abstract art. The Russian painter Wassily Kandinsky (1866-1944), who later lived in Germany and France, is one of the pioneers of 20th-century art. Nowadays he is regarded as the founder of abstract art and is, moreover, the chief theoretician of this type of painting. Together with Franz Marc and others he founded the group of artists known as the "Blauer Reiter" in Munich. His art then freed itself more and more from the object, eventually culminating in the "First Abstract Watercolour" of 1910. In his theoretical writings Kandinsky repeatedly sought the proximity of music; and just as in music, where the individual notes constitute the medium whose effect stems from harmony and euphony, Kandinsky was aiming for a pure concord of colour through the interplay of various shades. Gauguin had demanded that everything "must be sacrificed to pure colours". 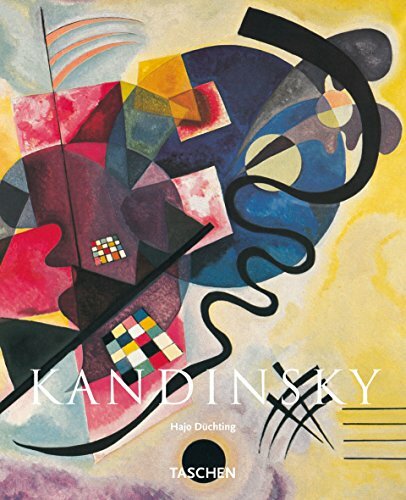 Kandinsky was the first to realize this and thus to influence a whole range of artists.